It is the delight of vulgar talent to dazzle and to bind the beholder. But true genius seeks to defend us from itself. True geniuswill not impoverish, but will liberate, and add new sense. 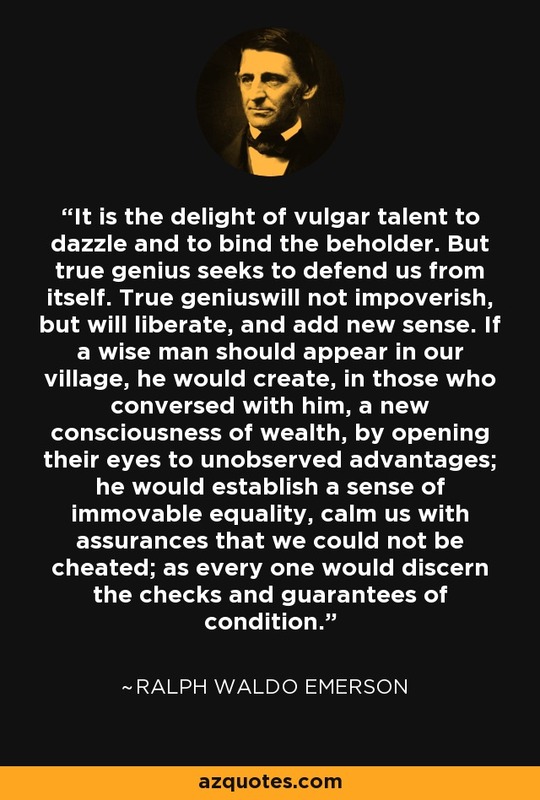 If a wise man should appear in our village, he would create, in those who conversed with him, a new consciousness of wealth, by opening their eyes to unobserved advantages; he would establish a sense of immovable equality, calm us with assurances that we could not be cheated; as every one would discern the checks and guarantees of condition.